Newly graduated registered nurses (RNs) taking on their first clinical role need a guiding hand and steady voice to help them through the transition to independent practice. Nurse preceptors, who often have years of experience as advanced practice RNs (APRNs), can provide the support and assistance that novice nurses need. Nurse preceptors use evidence-based practices to help new RNs or RNs new to a unit by providing useful feedback, setting learning objectives, teaching hospital protocols and encouraging critical thinking. Preceptor relationships have been found to support the next generation of nurses. Good preceptors are actively engaging, open to questions, patient and understanding. Learning how to be a good preceptor in nursing takes effort, time and the proper education. APRNs who train in nurse education, including through online master’s in nursing programs, may be some of the best-qualified nurses to take on the multifaceted role. Becoming a nurse educator and preceptor may be among the reasons why getting a master’s in nursing is so important for RNs seeking career advancement. The concept of the preceptor in nursing dates back to the early 1980s when nurse educator and author Patricia Benner introduced her book, From Novice to Expert: Excellence and Power in Clinical Nursing Practice. In the tome, Benner said nurses develop their skill set through years of experience. She based her theory on the Dreyfus model of skill acquisition research that shows individuals pass through five stages of proficiency — novice, advanced beginner, competent, proficient and expert. In addition to teaching, preceptors add an element of coaching, or helping the learner understand when and how to use a new skill. “Preceptors can use their influence in many situations to obtain what is needed in their roles as preceptors and nurses,” Ulrich said in her book. As facilitators, preceptors work to find assignments and make connections that meet the learner’s needs. As the relationship continues and grows, the role of facilitator slowly shifts to the learner. “Mastering Precepting: A Nurse’s Handbook for Success” noted that experiential learning requires an environment in which the experiences, and the learning that occurs from those experiences, are intentionally planned. Evaluation is a formal opportunity for the preceptor and learner to discuss expectations and provide feedback. Evaluation should be an ongoing process that improves the quality of the educational experience. As a role model, the preceptor’s job includes protecting, educating, evaluating and socializing new nurses by using evidence-based practices. Preceptors must demonstrate effective leadership and clinical competency. In addition to working with newly graduated nurses, preceptors also work with some students as they complete their clinical requirements. In “Graduate Clinical Nurse Preceptors: Implications for Improved Intra-Professional Collaboration,” the study authors found that preceptors in both education and healthcare settings are essential to cultivating graduate-level nurses. At Duquesne University, RNs earning a family nurse practitioner (FNP) degree have an opportunity to work alongside preceptors. “Nursing faculty and their graduate students rely on the expertise and clinical acumen of preceptors to guide and direct students as they learn new clinical roles. 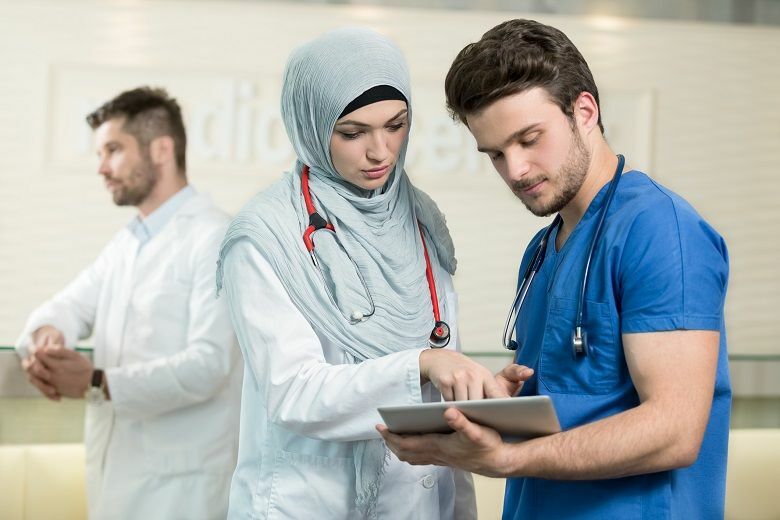 Correspondingly, healthcare agencies rely on advanced practice education programs to develop the next cadre of nurse practitioners and advanced clinicians,” study authors said. Duquesne University’s online master’s in nursing program prepares RNs for careers as faculty members in nursing programs and for roles as preceptors. The university’s online master’s in nursing program develops MSN-educated nurses who are ready to assist nursing students for the future of healthcare. Duquesne University’s online master’s in nursing program also offers concentrations in Forensic Nursing or Transcultural Nursing. Nurses with MSN degrees are also eligible to enroll in the university’s online Nurse Education and Faculty Role Post-Master’s Certificate program. The programs prepare RNs for advanced practice nursing certification exams. For more information, contact Duquesne University today.